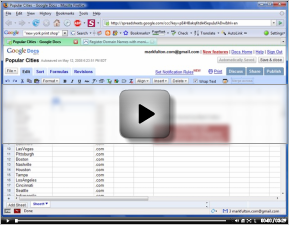 In this video tutorial I will show you how to use the Google AdWords Keyword Tool to easily find available keyword domain names. This is a follow up to my last video tutorial, “Using Google to Find Expired Domains” where I detailed a unique search query that I discovered and use to find expired domains. Lower quality version available on YouTube and Facebook. Please join the DotSauce forums for more insider domaining tips like this one before they are released to the public. I hope you enjoyed this screencast! I plan on releasing more videos featuring tips, tricks and tutorials in the near future.